When customers ask us about Around View Monitor (AVM) technology here at James Ceranti Nissan, we usually explain how its ability to provide a virtual 360-degree overview of a car can be useful in parking situations and how it can help avoid reversing into pedestrians. Turns out, we’ve been going about it all wrong. What we should have been saying is that this technology is so good, it’s being used in deep sea exploration. That’s right—Nissan is providing AVM tech to the Japan Agency for Marine-Earth Science and Technology and to Topy Industries, as part of a joint development project that will send robots scouring the bottom of the sea. These robots will be equipped with Nissan’s technology to improve the efficiency of undersea searches by avoiding obstacles on the seabed with better real-time situational awareness—just like on the road, except for all the water! Check out this really cool video about it below! Self-Driving Cars and Accidents: Who’s at Fault? Everywhere we turn, we see the development of technologies which are bringing us closer and closer to a world of self-driving cars. Most automakers and experts agree that by 2020, we’ll see some form of fully autonomous cars on our roads – but there are a number of legal and insurance related questions to sort out before we’ll be able to purchase a car that drives itself. The vast majority of accidents are caused by human error, according to the National Highway Traffic Safety Administration, so it’s widely acknowledged that self-driving cars would eliminate almost all traffic accidents. However, while we can eliminate human error and drastically reduce the number of accidents, we can’t eliminate accidents altogether. When a driverless car can’t avoid a crash, the question of who, or what, is at fault, becomes a complex legal issue. Bloomberg Businessweek points out that the RAND study predicts an increased liability for auto manufacturers, and a decrease in personal liability. The result? A decline in insurance company revenue. Though that kind of shift would certainly effect our economy, drivers are giddy at the prospect of saving serious money with their insurance companies. A carinsurance.com study found that 90 percent of drivers would consider switching to a self-driving car in exchange for a lower cost of car insurance. Let us know in the comments: would you buy a self-driving car in exchange for lower insurance rates? Here at James Ceranti Nissan, we can’t yet offer a self-driving car, but we can show you our lineup of safe, technology-packed cars. Stop by today! Nissan NISMO Here, NISMO There, NISMO Everywhere! Nissan is known for its sporty look and refined power. The Nissan NISMO series was launched with the name coming from the NISsan MOtorports divisiion. These sporty vehicles are focused on power, agility and technology. They stem from a passion for the sport and a love of the ride. The namesake began for the purpose of motorsports, however, it did not stay with solely with the sport for long. Nissan quickly began developing a NISMO line for everyday driving. Currently, Nissan currently offers a NISMO iteration of the Nissan Juke, Nissan 370Z, Nissan GT-R and a Nissan Sentra concept. However, we are excited to hear that Nissan has announced a NISMO version of the Nissan Versa Note. This model will include an updated appearance, custom sport seats and upgraded tires. They plan to release the Nissan NISMO Versa Note in Japan this fall. Unfortunately, it is not known if Nissan will release this version in the United States. Here at James Ceranti Nissan, we are excited about the direction that Nissan is going and we anxiously await an announcement regarding the NISMO Versa Note’s release in the United States. Want to learn more about the Nissan Versa Note? Make sure you stop by and take a look at our inventory of the 2014 Nissan Versa Note. Image courtesy of the Nissan Newsroom YouTube Channel. The world of virtual racing just got a lot more exciting. 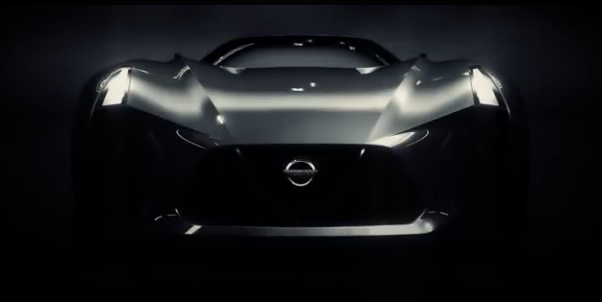 We finally get to see the Nissan Concept 2020 that our favorite carmaker has been teasing for the past couple of weeks. The concept, while currently reserved for the virtual tracks of Gran Turismo 6, hints at the aesthetics of a future Nissan supercar. Below is one of the teasers that Nissan released on Twitter leading up to the big reveal! This amazing design is part of Gran Turismo’s Vision Concept program, which encourages automakers to design new concept cars specifically for the game. The Nissan Concept 2020 design will be available for download starting in July. Players can then add the car to their virtual garages. If we saw a car like the Nissan Concept 2020 on the road now, it’d probably take a while for us to pick our jaws up off the ground. Watch the short video below to get a closer look at the stunning concept! And if you’re a Gran Turismo fan, rest easy knowing that July is right around the corner. Image and video courtesy of the AutoMoto TV YouTube Channel. We know this feeling all too well: your car is packed so full of cargo or passengers, your rear view mirror is rendered useless. This can make driving conditions a little more precarious, especially if you have to reverse. Nissan has come up with a simple, yet ingenious solution for this common problem, the Smart Rear View Mirror. 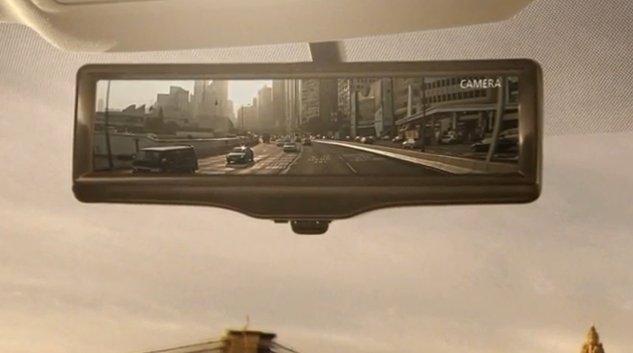 Nissan’s Smart Rear View Mirror works with a rear view camera attached to the back window. The driver can then toggle between the standard mirror and the camera view, which is aligned precisely to display what you normally see in the mirror, minus the obstructions. Check out the video below to see this innovative tech in action! Japan will be the first country to get this new technology which is expected to be ready sometime next year. And, it should make its way to our shores sometime in the near future as well. We love that Nissan is always looking for ways to improve the driving experience for its customers. The carmaker has established a reputation for innovation, and Nissan isn’t slowing down anytime soon. Which new Nissan would you love to have a Smart Rear View Mirror? Image and video courtesy of the Nissan Europe YouTube Channel. 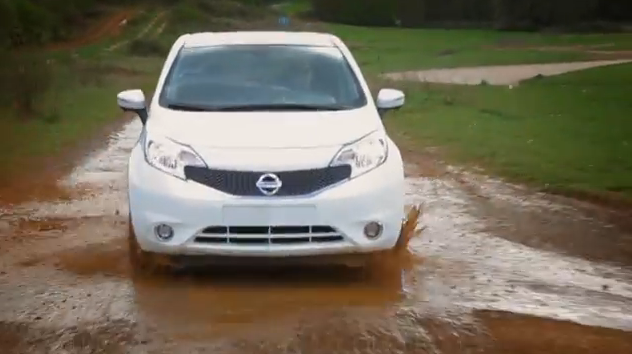 Nissan recently released a video demonstrating a new “self-cleaning” paint on a Nissan Note. Watch the video below, and prepare to be amazed. The paint, which was created by UltraTech and sold under the name Ultra-Ever Dry, is a super-hydrophobic paint that creates a thin layer of air between the paint and the environment. This causes water, dirt, and oil to just roll right off the surface. While Nissan has said this high-tech paint may not end up on a production model, it will most likely be an option for an add-on at the dealership. Would you like to keep your Nissan car clean with this futuristic paint?